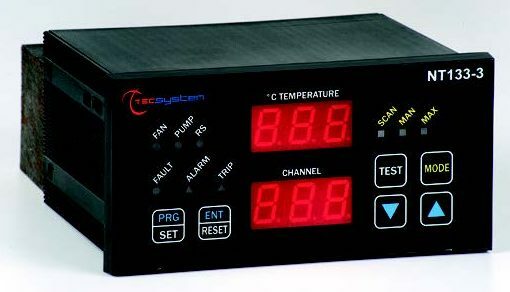 Tecsystem has a variety of electronic temperature controllers specifically designed for wet applications, primarily Oil Filled Transformers and Hermetic Transformers, but also diesel generators, bearings, exhaust gas, lubricating oil and coolant. The Tecsystem name represents high quality, advanced technology & research, and unrivaled service. Then new NT210 K combined with the TPL503 sensor represents a new era for the protection of hermetic oil-filled transformers. The TPL503 replaces the aging electromechancial control devices. Installed directly on the transformer the TPL503 is able to monitor Temperature, Pressure and Level of the oil. Your hermetic oil filled transformer will never be alone again! The NT210 K controller has 2 alarm output relays (ALARM-TRIP) and 1 alarm relay for signaling sensor faults or other self-diagnostic faults. It also has 1 alarm relay for fan control, and powers the TPL503 sensor. 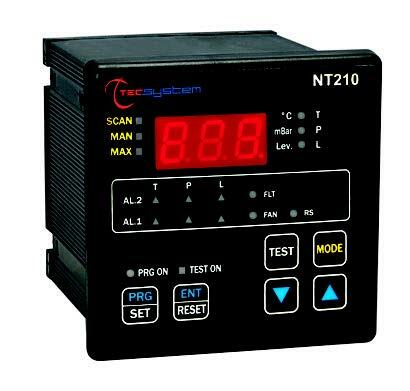 The NT210 K also contains an RS485 Modbus RTU serial output for those who want more information delivered to a remote location. The NT133-3 temperature controller is designed for sophisticated control of High and Medium voltage oil filled transformers. With a single device you can control the oil temperature, drive the cooling system and calculate a thermal image of the 3 windings with an exclusive algorithm. 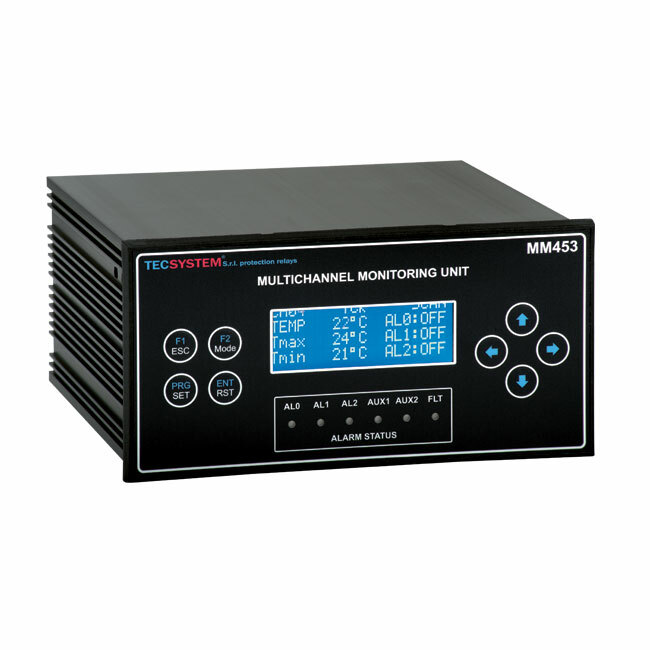 The MM453 temperature controller is designed for measuring the temperature of diesel generators and biogas as well as monitoring bearings, exhaust gas, lubricating oil and coolant. 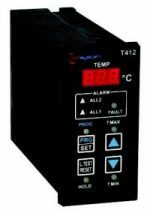 The MM453 is highly configurable with up to 24 temperature inputs using any of our RTD PT100, PT1000 or TCK thermocouple. 5 standard output relays with the option to add a 4-20mA analog and/or a RS485 digital output give you the flexibility you need to monitor temperature across your operation.